SPRINGTIME IN NIAGARA: ENJOY THESE GREAT ATTRACTIONS FOR FREE! Spring in Niagara is a beautiful time, and there are countless of fantastic sights and attractions to enjoy in the Niagara Region at this time of year. But even though Niagara Falls is a massive destination for tourists from all around the world who spend millions of dollars in the city every year, there are also some magnificent attractions in Niagara that you can enjoy for FREE. The floral clock and the botanical gardens along the Niagara Parkway fall into this category. The floral clock is made up of up to 16,000 carpet bedding plants and the floral design is changed twice a year. It features viola in the Spring and four cultivars of Alternanthera along with green and grey forms of Santolina Sage during the Summer and Fall. Not far from the floral clock and also along the Niagara Parkway are the Niagara Parks’ Botanical Gardens. This beautiful garden setting is home to the Butterfly Conservatory and serves as the unique outdoor classroom for students attending the Niagara Parks School of Horticulture. Established in 1936, the Botanical Gardens are made up of 40 hectares (99 acres) of beautifully maintained gardens. Enjoy perennials, rhododendrons, azaleas, formal parterre garden, shade, herb and vegetable plantings, as well as our world-famous rose garden featuring over 2,400 roses. Best of all, admission to the Botanical Gardens is free! (NOTE: If you are driving, there is a parking fee of $5.00). So get out and enjoy springtime in Niagara! For more tips on great Niagara Falls attraction that you can enjoy for FREE, feel free to contact me at Barbara.Grumme@century21.ca. There is no better time to stop and appreciate that we live in Niagara than the month of February, when Valentine’s Day is just around the corner and many couples flock to Niagara Falls, the Honeymoon Capital of the World! But did you ever wonder how Niagara Falls earned such a prestigious and internationally-recognized title? The first recorded honeymoon trip to Niagara Falls dates back to 1802 when Theodosia Burr (daughter of then US Vice-President Aaron Burr) visited the falls with husband Joseph Alston. It is also said that Napoleon Bonaparte’s younger brother Jerome visited Niagara with his bride in the early 1800s. These high-profile visits were the start of a trend, and with the addition of railway lines and the opening of the Erie Canal (which made Niagara much more accessible to visitors), more and more couples began visiting Niagara Falls for their honeymoon. Already in the early 1900s the phrase “Honeymoon Capital of the World” was being used in advertisements and brochures designed to encourage more people to visit Niagara, and the phrase is still used today. More than 200 years after the first honeymooners came to Niagara Falls, the city continues to be featured on prestigious top 10 lists for the best places in the world to visit for your honeymoon, and many couples are now choosing to tie the knot in Niagara as well. With spectacular attractions like the Maid of the Mist, helicopter rides over the falls, the Sky Wheel observation Ferris Wheel, world-class shows, and ample opportunities for memorable romantic walks and dinners, it is no wonder that Niagara Falls remains a top destination for newlyweds from across the globe. For those of us lucky enough to live here, it is easy to forget that every year people from all around the globe choose to dedicate a great deal of their time and money just to come to Niagara. What a place to call home! Winter is almost upon us and that means that the Winter Festival of Lights, Canada’s foremost illumination festival, is already on full display in Niagara Falls, Canada. Every year over two million sparkling lights along a 8km route that runs through Niagara Parks, Dufferin Islands, and the surrounding tourist areas transform Niagara Falls into a true winter wonderland. Beautiful lights, grand holiday displays throughout the city, and other unique events and attractions help to bring out the magic of the holiday season in a unique way here in the heart of Niagara. The festival runs until January 31st 2017, and if you are visiting the Niagara region during the holiday season you can’t miss out on this visual spectacle. There are no admission fees to view the illuminations so you can enjoy them with your family without breaking the bank (that said, voluntary donations are gratefully accepted along the Niagara Parks Winter Wonderland lighting route at the exit of Dufferin Islands). For more information about the Winter Festival of Lights, including a detailed map of the route that includes the times and locations for all events and attractions, please visit their website. The leaves have changed colour and they are falling away, but there is still time to enjoy the beauty of Ontario’s Greenbelt, Canada’s largest network of trails that can be experienced all year round. Walking has been shown to increase energy and relieve stress, helping to refresh your mind and body as you spend quality time with friends and family. What’s more, protected trails help preserve our natural heritage and provide life-giving habitat for wildlife. Here in Niagara we are blessed with some of the most beautiful and famous hiking trails in all of Canada, including the Bruce Trail, which is the oldest and longest continuous footpath in Canada. The Bruce Trail runs right along the Niagara Escarpment, a World Biosphere Reserve that spans an astounding 850 kilometers. The Bruce Trail, located practically in our own backyard, gives us the opportunity to walk through a stunning natural garden and to see everything from 1000-year-old cedars to delicate orchids and Carolinian forests. The Niagara Escarpment is also known for supporting a diverse cross-section of wildlife that is either rare or impossible to find in other parts of Ontario. All year round the Greenbelt offers many outdoor activities, from bird-watching and fruit-picking to cycling and skiing. For more information about Canada’s largest network of hiking trails, check out the Friends of the Greenbelt Foundation, which is dedicated to promoting the Greenbelt as a valuable, beneficial, and permanent feature that enhances our quality of life in Ontario. Visit the Foundation’s website at www.OurGreenbelt.ca, which is full of information on everything from farmers’ markets to festivals, special events, and seasonal activities in the Greenbelt. No matter the time of year, it’s always a good idea to explore the great outdoors (as long as we do it safely and responsibly). Two new exciting attractions make Niagara Parks your can’t-miss-this destination. WildPlay's Niagara high-adrenaline aerial adventures are the top way to climb, zip, and jump while you discover the wonder of Niagara. A fun and thrilling experience of suspended obstacles and ziplines high above the world-famous whirlpool and Niagara gorge. Three self-paced courses include dozens of climbing, ziplining and jumping aerial games. These cliff-side courses are a totally new and unique way to have a Niagara River adventure and discover the lost art of monkeying-around! To celebrate the Skylon Tower’s 50th anniversary, Niagara residents will be able to take a free ride to the top until November 20, 2015. To take the free elevator ride, residents will need to show a piece of photo identification. “Over the last 50 years, the community has supported us and been there for us every step of the way,” said general manager George Yerich Jr. “This is our way of simply showing our appreciation and gratitude. On November 25 at 5 p.m., Niagara Falls Mayor, Jim Diodati, is scheduled to attend a ceremony honouring the tower and present a commemorative plaque. he Niagara Escarpment is a beautiful and internationally recognized escarpment extending from New York through Ontario and Niagara Falls . With loads of recreational choices such as waterfalls, hills, wildlife, recreational trails, beaches, historic places, cities, hamlets and farms, the Niagara Escarpment becomes one of the most famous natural tourist spots in the world. The Niagara Escarpment is a protected area and has been designated UNESCO World Biosphere Reserve in 1990. This natural landscape includes rich biodiversity and supports species of birds, reptiles, fish, mammals, orchids, Walking Fern and et al. The escarpment also includes Canada's oldest trail called "Bruce". The Bruce Trail has probably inflicted more blisters, sore feet, and aching backs than any other trail in North America. But the aches and pains are well worth it as hiking the Bruce Trail, stretching 773 kilometres (480 miles) from Queenston Heights in the south to Tobermory at the northern end of the Bruce Peninsula, is a beautiful and rewarding experience. The trail follows the cliffs of the Niagara Escarpment, a ribbon of near wilderness running through one of the most populated parts of the country. The place is also renowned for world famous wineries and vineyards. More than just a long ridge of rock, the Niagara Escarpment is a vital natural link, which ties together a rich tapestry of plant assemblages, bird life, animals, picturesque villages, and history. In recognition of its international importance as an ecosystem and its exceptional scenic beauty, the Niagara Escarpment Reserve was named a World Biosphere Reserve in 1990 by UNESCO. The Bruce Trail is rugged in places and is punctuated by waterfalls cascading over steep dolostone cliffs. The trail is more than just a place to hike. It is also a link between delightful parks and conservations areas. The Bruce Trail is marked with white blazes; that is, white rectangles that are approximately 6 inches (15 centimetres) high and 2 inches (5 centimetres) wide have been painted on trees, fence posts, and rocks, A turn is indicated by a pair of blazes, one above the other, with the upper one offset in the direction of the turn. In the Niagara area, there are numerous side trails that lead to various points of interest. These are also marked, but with blue or yellow blazes. A detailed guide book to the Trail is available from the Bruce Trail. These web pages do not describe the Bruce Trail in its entirety through the Niagara area but, instead, describe selected portions that give good overviews of the natural setting of this region. Best for Recreation, Skiing, Fishing, Swimming and Hiking! The Carmel Fine Art and Music Festival is THE place in Niagara to spend the week-end enjoying the talent of a wide range of artists and musicians from all across Southern Ontario. THERE TRULY IS SOMETHING FOR EVERYONE OF EVERY AGE! From visually stimulating fine art, thought provoking and intriguing exhibitions, one of a kind works, innovative techniques, interactive community art project, children`s Creative Imaginarium art zone and youth art show, poet and painter collaborative exchange to tantalizing your tastebuds with fine VQA wines by Reif Estates Winery and culinary delights, all while listening to the soothing sounds of the Falls in the background of the best of local musicians playing for your entertainment. Visitors to the Niagara Falls region enjoy the area for the spectacular falls, the Butterfly Conservatory, the Clifton Hill Movieland Wax Museum of the Stars and the Shaw Festival in nearby Niagara-on-the-Lake. A few beaches around the Niagara region and nearby along the shores of Lake Ontario and Lake Erie also lure vacationers for a day of swimming and relaxation. On the southern shores of Lake Erie, Crystal Beach is a small town now part of Fort Erie (forterie.on.ca) and dates back to the 1800s. With its white sand beaches, Crystal Beach is a mix of cottage residences, antique shops and charming restaurants. Once the scene of historic boardwalks, boathouses and elegant hotels, Crystal Beach still attracts families on day trips looking for sun and surf. Located about 20 minutes south of Niagara Falls on Lake Erie, Sherkston Shores (Sherkston.com) offers 560 acres of RV camping and a holiday park home-rental service for families to enjoy for a week or weekend. The area boasts two long beaches, several pools and hot tubs and a quarry beach. After a day at the beach, visitors can enjoy tennis courts, a baseball diamond, an arcade and several restaurants. Serious beachgoers might consider driving farther along Lake Erie to the "Gold Coast" beaches stretching from Port Dover to Long Point. Also dubbed the "Riviera of Ontario," the Gold Coast not only has long beaches with shallow, sand-bottom entry into the lake, but also the prospects of hiking and fishing. The Gold Coast name came from the more than 400 shipwrecks off the coast of Long Point. Another popular beach along Lake Erie is Port Stanley (portstanley.ca), with its Little Beach for children and Big Beach for teens and adults. Along Lake Ontario and close to Niagara, several towns have public beaches for visitors, such as Fifty Point Conservation Beach and Grimsby Beach in Grimsby, Ontario (tourismniagara.com/grimsby) or Queens Royal Beach and Ryerson Beach Park in Niagara-on-the-Lake (niagaraonthelake.com). The Chippawa Creek Conservation Trail (ontariotrails.on.ca) on the Welland River has a man-made lake, Dils Lake, for boating and swimming. Niagara Falls Comic Con 2015! June 5th (4p-9p) June 6th (10a-7p) and June 7th (10a-5p). Niagara Falls Comic Con Ltd. features hundreds of exhibits, covers over 200,000 square feet of space and headlines some of the biggest celebrity pop culture names to date. Niagara Falls is a destination visited by millions of people each year, and Niagara Falls Comic Con is undoubtedly the largest event the City hosts each year attracting more than 25,000 fans over three days each June. Within the Glen you can explore Wintergreen Flats, Wilson Terrace, and Foster's Flats – the Niagara Glen Terraces, flat areas created when the Niagara River flowed through this area six to seven thousand years ago. Know Someone Who is Celebrating their Golden Anniversary? Call for a complimentary portrait or event photo. Capture a moment that matters. According to Feng Shui, the position of the Bedroom and the placement of furniture and other articles are important for having a good married life. A couple's bedroom can make or break a relationship. Many times relationship problems are attributable to bad feng shui. If you are looking to improve your relationship or prepare your bedroom for romance, given below are tips you can use. Keep the Bedroom clean, especially the south west area. Make sure the bedroom has good ventilation and lighting. Open the windows often and use good air purifiers in the room. Color is a very important part of Feng Shui. Try splashing some pink or even a light red on the walls. Decorations can be used in pink, yellow or brown, which are colors known to attract and improve love and relations. The Southwest corner of your home is the corner that governs the luck of love, romance and relationships. Natural crystals are especially effective for energizing the Southwest corner of your home. Place a crystal on the Southwest corner of your living room or bedroom to activate and enhance your romance luck. You can keep cream colored ceramic vase with artificial yellow flowers in this area too. Do not buy or use used mattresses in the bed as you never know what energy they have accumulated from previous owners. Also do not use two separate mattresses in the bed. Do not place the bed under a sloped ceiling. Beds with built-in storage drawers underneath are considered bad in Feng shui. The bed also should not be placed in line with any doors of the room. In addition to a good headboard, make sure to have a good supporting wall behind your bed. The bed should be accessed from both sides. It is also advisable not to sleep under the window. Placing nightstands on both sides of the bed is a good idea as long as it does not have pointed edges. A chandelier above your bed also is bad Feng Shui. Also make sure you do not have furniture with sharp ends pointing towards the bed even if it is in the farthest corner of the room. Also make sure to keep all doors in the bedroom closed at night. Clear the clutter in the bedroom and especially under the bed as this can be a real relationship breaker. Mirrors facing the bed or on the ceiling is considered bad in Feng Shui. So keep the mirrors out of the bedroom if possible or keep it covered when not in use. Pink is the Feng Shui color of Love and Romance Luck. Wearing pink colored clothes or keeping pink flowers or pink pillows in the room helps to activate your romance luck. Paintings of peony flowers in the living room are a huge romance enhancer. When recovering from a break-up the first thing you need to throw away is all the clutter of the old relationships like photographs, mementos or anything reminding you of that relationship. Removing old relationship energy also means that you have to throw away the love letters or the old sheets which you used. If you want to attract a new romantic partner you need to give up the old and make sure to make space for the new person in your home. Keep the television out of your bedroom. If you must have it, keep it covered when not in use. Television sets should not face the bed directly. Make sure that all objects located in the bedroom are in good condition. If something is broken or damaged repair or remove it as soon as possible as broken things indicate broken relations. .
Keep a romantic and happy picture of you as a couple in the south west corner of the room. You may also put paintings or pictures of a pair of love birds or keep a pair of mandarin ducks in the room. Make sure not to use pictures representing solitude, loneliness, aggression, hard work, conflict, war, disagreement, etc. Traditional romantic symbols such as hearts, cupids and pictures of happy couples always work well. Make sure you have pairs in your bedroom even if it is candles or pillows or nightstands. Do not work or work out in the bedroom. It is also not a good idea to store equipment in the bedroom. If you have a bathroom attached to your bedroom, make sure that you close the door to the bathroom at all times. Do not keep plants or an aquarium in the bedroom. 1. Clean or replace the furnace filter every three months. Pillar To Post® inspectors find that most homeowners do not keep up with this task. 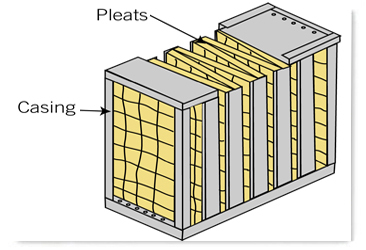 Thick-media filters, such as the five- and six-inch pleated type, last longer than regular filters and filter better too. Of course they are more expensive. 2. We all create an invisible dust cloud just walking through our homes. While a high quality furnace filter will reduce dust, frequent cleaning and vacuuming is also necessary, but only if your vacuum cleaner is up to the task. Control of Humidity High humidity levels in your home can significantly contribute to mold and dust mite growth. Dust mites, however, are a fact of life; you cannot eliminate them entirely. But you can decrease their numbers. Dust mites thrive in humidity levels above 50%. Ensuring the humidity in your home is not higher than 50% will diminish dust mite growth. Here are a few ways to address humidity. More Efficient Air Exchange Some homes just need more ventilation. Heat-recovery ventilators, or energy-recovery ventilators are both effective ventilation devices. Some do-it-yourself systems exist out there but we strongly suggest an expert consultation. Choosing the right system involves careful consideration of your home and your specific situation. Modern technology has made it easier to get more into small spaces. A flat screen television can hang on the wall, eliminating the need for an entertainment unit. Using a laptop instead of a desktop computer allows you to transform any area into a workstation, whether it be the kitchen table or a comfy chair. If you have a small kitchen you might have to forego some large appliances. Try a compact French press, rather than a counter-hogging coffee maker. And nix the cumbersome stand mixer for a handheld model. Ditch that giant stereo system for a compact docking station for your MP3 player. You won’t be sacrificing space or sound quality. Research shows that compact fluorescent light bulbs (CFLs) use 75% less energy and last 10 times longer than traditional incandescent bulbs. But if you are not using them correctly, those savings could go right out the window. Here is how to get the most of your CFLs to keep the money in your pocket. Stick to the 15-minute rule. Traditional bulbs saved money by turning them off when not in use. With CFLs, it is better to keep the light on if you’re going to need it again within 15 minutes. Frequent turning on and off wastes energy and makes them burn out faster. Make sure they match. Each CFL is specially designed to work in specific types of lighting fixtures. Double check the package to see if it is for dimmer switch, three-way lamp, timer, motion detector or outdoor lighting etc. Give them room to breathe. CFLs are sensitive to extreme temperatures, so place yours in open fixtures - such as lamps with shades rather than globes. Using them in enclosed fixtures can create a hot environment that reduces the lifetime of your bulb. TIP: Avoid breaking a CFL as you install it by holding it only by the white plastic part - never using the glass tubing, which can crack when handled.